So I was visiting my buddy Bob in Duluth. He had moved from Marshfield to there and it was definitely good to get out of Marshfield every once and a while. I would road trip up and visit every here and there and we’d explore what Duluth had to offer. Well on this particular trip, we decided to explore the North Shore of Lake Superior. As we drove around we hooked up with Highway 61. Bob made the comment, “You know Highway 61 goes to Thunder Bay?” I then replied, “Screw it, let’s go!” We just kind of nodded at each other and I started driving that way. Bob thought it would probably be a good idea to call his girlfriend and let her know we weren’t going to be home until late that night. When he told her where we were headed she responded, “How are you guys going to get in, you don’t have passports.” She did have a good point but we figured at least we could see the North Shore and at least say we could were *at* the border. So we drove the windy road of Highway 61. 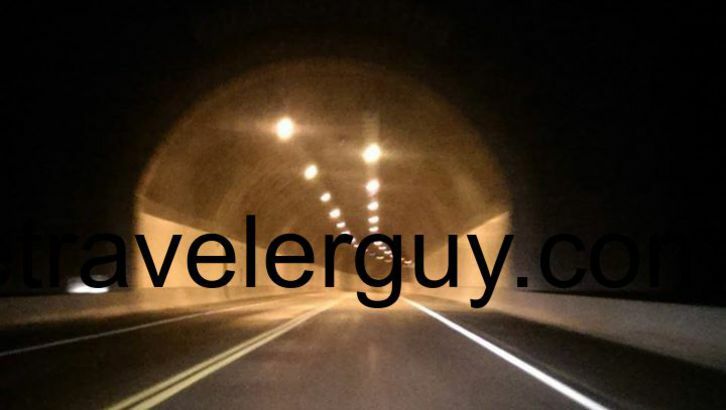 We passed through some cool tunnels and got to take in the beautiful scenery of Lake Superior. Well after about 2 hours of driving we were finally coming in on the border. I decided it would probably be best to fill up in Grand Portage to make sure there was enough gas in case my credit card or money did not work up there. I also wasn’t quite sure how well our cell phones were going to work up there. I could also see that when we got closer to the border, the GPS map ended at the border. As far as the GPS was concerned, we were going into no man’s land. We decided to pull into the “Welcome to the USA” rest stop that was right before the border. We had to concoct a plan that might let us in. We looked at maps thinking it would be cool just to cross a foot bridge and walk over just to say we had been to Canada. Finally we figured we’d just try to drive in and see if they let us in. We both got back in the car and pulled up to the border station. The sign said, “Please have photo identification ready.” Well a driver’s license is photo identification. I pulled out my driver’s license and so did Bob. He handed me his license and we pulled up to the window. I gave the border guard our licenses and he swiped them through the computer. He asked our reason for visit. I told him we’d been driving around Highway 61 and thought it would be cool to check out Thunder Bay. He asked if this was our first time to Canada and we said yes. He asked if we were staying anywhere and a few other questions. Our answers must not have been good enough as he handed us a slip of paper and asked us to come inside. I parked the car and we both walked inside. There were a few people ahead of us and when it came to our turn another guard asked us the same questions. He told us to sit down and in about 5 minutes called us back over. He told us we were good to go! He handed us back our driver’s licenses and we were free to explore Canada. Well I was antsy to get to Thunder Bay. We were in Canada and given the green light. It was time to see what Thunder Bay was about. We could worry about coming back to the US soon enough. We both got back in the car and headed up Highway 61. The GPS was useless now. We fell off the map according to that. I had received a text stating the now exuberant phone rates. I did decide to call my parents to tell them of my feat. “Hey guess where I am?” “Well I know you’re in Duluth for the weekend. Where are you exactly?” “I’m in Ontario!” They were surprised and then also questioned me about the passport. I just told them they let me in and we were driving up Highway 61 and close to Thunder Bay. After driving down the windy roads, we started coming on city lights. I knew I had to use Highway 61 as a point of reference and that would get us back to the US. I saw Arthur Street and decided to turn on that since it looked like some stuff to explore was there. We drove a bit down until we saw a Metro grocery store. I thought it would be cool to see the different products they had as well as if the packaging was different due to Canada being metric. We walked inside and checked things out. 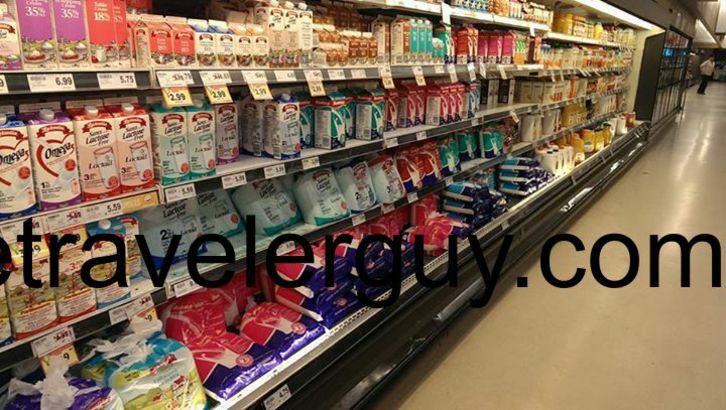 I know everyone is surprised that there’s only bagged milk the first time they see it in Canada. I guess for me growing up in Wisconsin, we also had bagged milk so it wasn’t too big of a surprise. 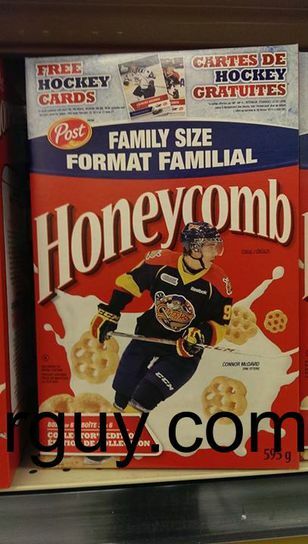 I could also tell I was in Canada when I saw hockey players on a bunch of packages including Honeycomb Cereal. Well after walking around the Metro, we needed to find a place with Wi-Fi to get our bearings since data cost a fortune out of country. We asked a worker in the store where there was Wi-Fi near and they told us there was a McDonald’s up the road and also a Tim Horton’s. We opted for McDonalds. Upon arriving at McDonalds I asked if they took “American”. They nodded their head. I pulled out a twenty and tried to figure out what to order. Bob decided he wasn’t hungry and sat down. I looked on the menu for something that wasn’t available in the US. It was pretty much the same menu except for one item, the McBistro. 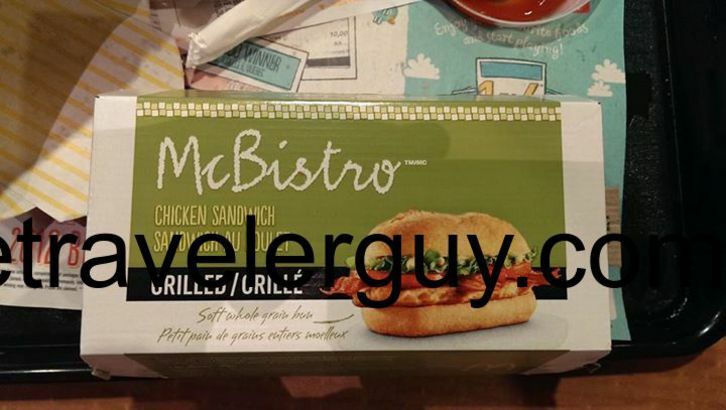 I ordered a McBistro meal. 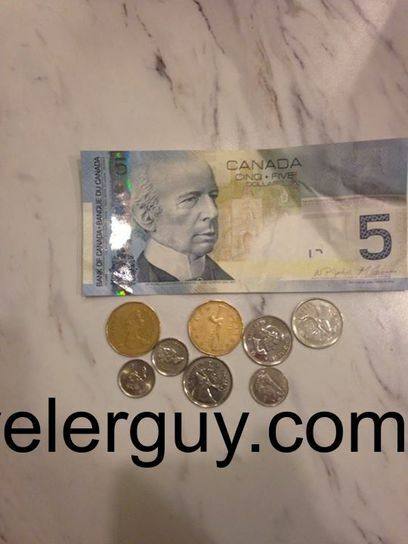 I handed them the twenty and got some Canadian change back. While I was waiting for my food, I connected to Wi-Fi and posted on Facebook, “No passport no problem! In Thunder Bay now.” This did cause a nice little flood of comments on how I made a stupid decision and how screwed I was. I then got my food and went to sit down. It appeared Bob was a little shaken also. He was nervously looking at his phone. I asked him what’s wrong as he was clearly a bit shaken up. I asked him what was going on, He just said, “I’ll tell you in the car,” as he continued to look at his phone. Finally he said, “Dude we are so f*cked. I don’t think we’re getting back into the US without a passport.” It was always in the back of my mind that we might be in deep trouble but the fact is we were there. We might as well enjoy the time. Bob wanted to go back right away and I figured if worse came to worse and we were held up for a while, it might be a good idea to get back since after they let us go, we still had a 2 hour drive to Duluth. Since we figured the car would be searched, we cleaned all the garbage out of it and filled up the outside garbage can at McDonalds. I headed back down Arthur Street towards Highway 61. Once we got back to Highway 61, I drove straight to the border. It’s funny because the US border office is smaller than the Canadian office. There’s a lot more technology and tactical equipment around there. The guards themselves looked like the kind of guys you don’t want to mess with. It was definitely a big contrast from crossing over. 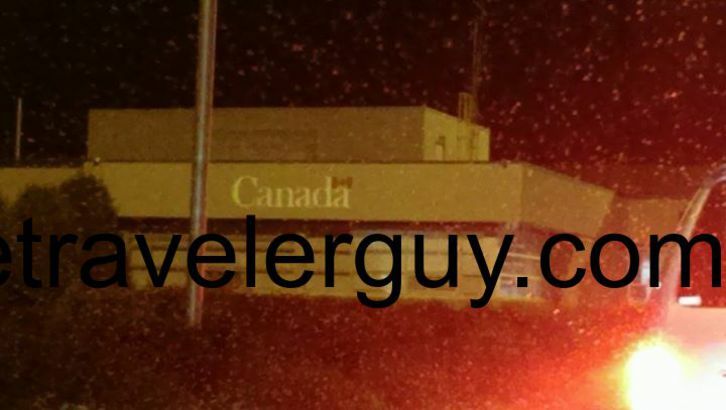 Well we got our driver’s licenses ready and pulled up to the window as we did crossing into Canada. I handed the US guard both our licenses and he looked at them. “You boys have passports?” I said no. 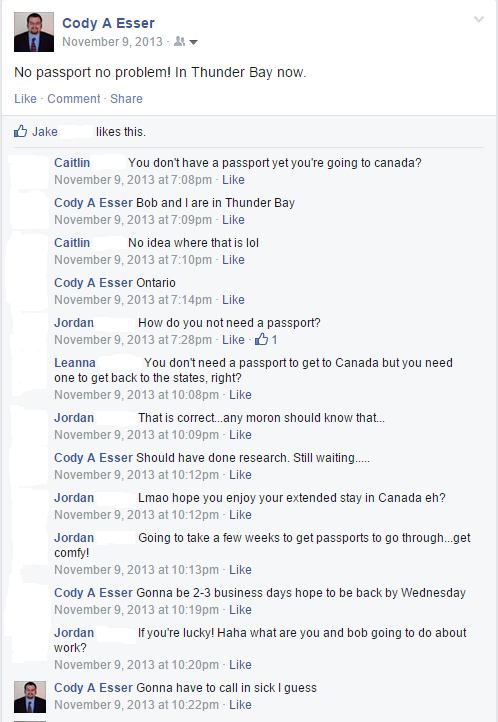 He then asked if we didn’t have passports on our person or not issued at all. I said we didn’t have passports at all. He then recited something about the Western Hemisphere Travel Initiative and how passports were required since 2009 (This was November 2013). He told us to park the car under the canopy, leave it open so they could search it, and then come inside. I parked the car under the canopy and then we both walked inside. As they searched the car, they started asking us questions like where we were born, how we knew each other, what we did in Canada and if we bought anything like cheap ammo. We answered all the questions. Then the guard asked for other forms of identification. I pulled out my Wisconsin driver’s license as well as a Wisconsin fishing license, Illinois fishing license, credit and debit cards, and whatever else I had in my wallet. Bob pulled out about the same number of different form of identification. One thing he did have was a permit to buy a handgun and not have to wait for the mandatory waiting period for Minnesota. Before you knew it, we are BSing with the guard about guns while they finished up searching the car. The guard searching the car nodded to the guard we were talking to and they let us go on our way. The guard grabbed passport applications, handed each of us one, and told us to bring passports next time we cross the border. Well my Facebook comments were brewing up a bit of a sh*tstorm. I decided I was going to troll this a bit and mess with everyone. I was going to pretend that the border guards didn’t believe our story and continued to interrogate us and wouldn’t let us back into the US. 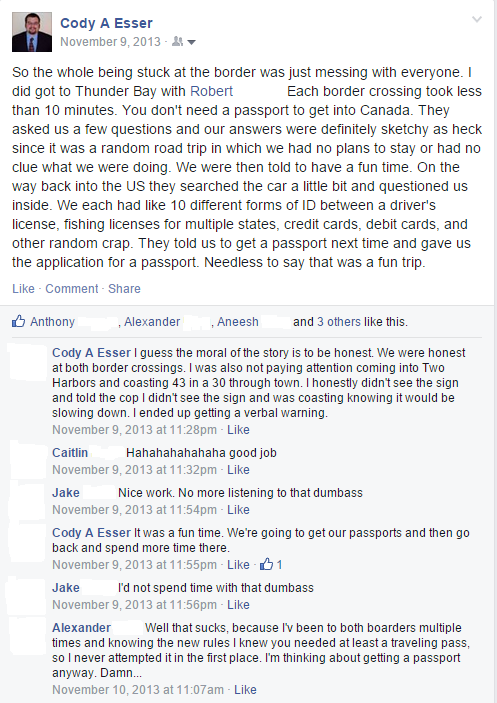 Now that we were back in the US, our data plans easily worked so we could respond to Facebook postings. 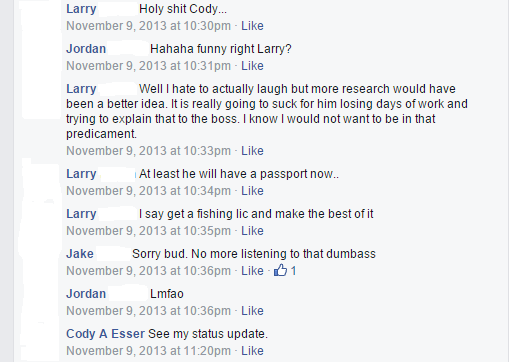 We decided to call up our buddy, JP, to instigate the comments a bit more to see what people would say. We had a 2 hour drive back to Duluth but the good thing was we were back in the US without any issues. I had made it to Two Harbors (about 30 miles North of Duluth). I had been coasting into town when an SUV sitting in a parking lot’s headlight came on. Then the red and blues were flashing. I pulled over to the side of the road. The cop came up and asked where we were coming from and where we were going. I said Thunder Bay and heading to Duluth. He then asked for my driver’s license and proof of insurance and then asked me why I thought he pulled me over for. I told him I was coasting into town and the speed limit must have just changed. He told me it changed a while back and I was doing 43 in a 30. I told him I did not see the sign. I omitted the detail that Bob and I may have been paying attention to trolling Facebook and with us talking back and forth most likely grabbed my attention instead of the speed limit sign. He took my license and proof of insurance and walked back to his squad car. Bob was now freaking out a bit again and said, “You know he didn’t say which department he was from or anything. You could probably call 911 and then get off this ticket because he didn’t follow procedure.” I told him to calm down and what happens is what happens. A few minutes later the cop came back and gave me a verbal warning to make sure to slow it down and watch for the signs next time. All was well. We then headed back to Bob’s place in Duluth. When we got back to his place he declared, “Tonight was awesome!” I told him, “For me but you were crapping your pants the whole time.” Needless to say, it was an awesome adventure.